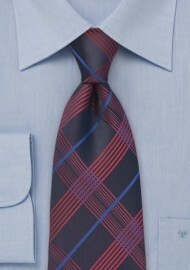 If you are looking for a tie that packs a powerful punch, look no further. Our very own handmade silk tie by Puccini is a godsend and a must-have piece to complete your wardrobe. 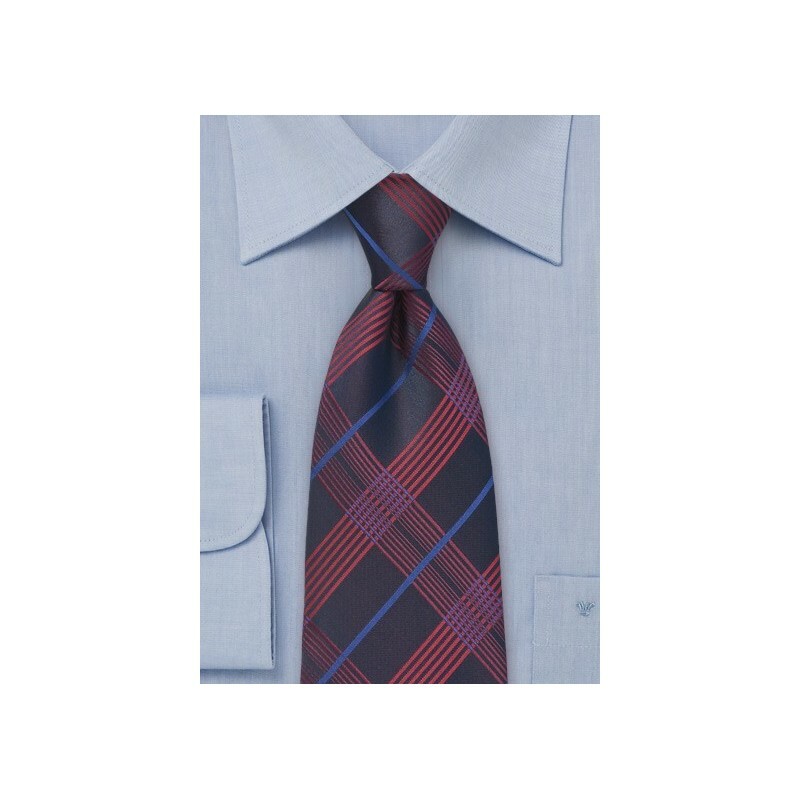 This tie features a basic navy hue with a red toned plaid design, making it classic and fit for all occasions. The quality of this piece won't be taken for granted, and you certainly can't beat that price. Feel free to dress this one up or down, it's ready for whatever you throw at it. We would love to see this piece worn from day to night with a casual gray button up and well-tailored pants. Look refined and creative at the same time.